I’m so happy to announce that I have a new Podcast! This is something so easy to incorporate into your routine and has the power to yield instant results in every area of your life. If you’re unfamiliar with Podcasts, don’t worry, they’re not at all difficult, and everything you need is right here on this page. 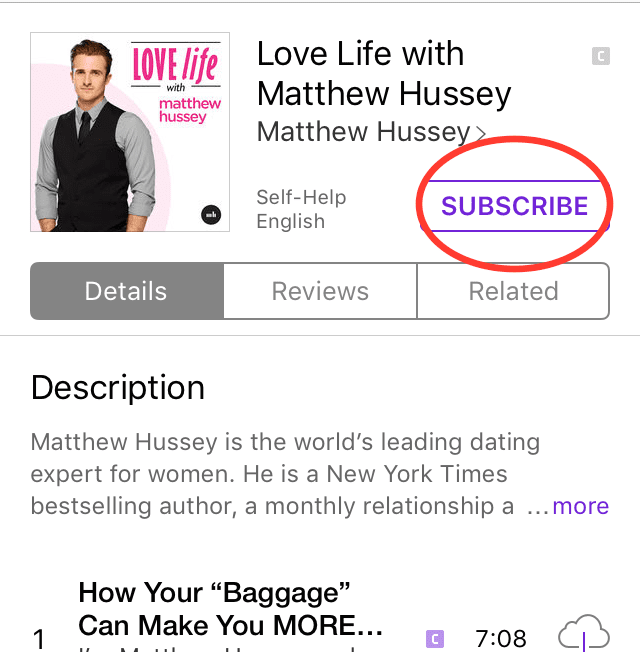 If you don’t already have the Podcasts app, first go to the Apple App Store. – Simply search “Podcasts” and you will be able to download it. 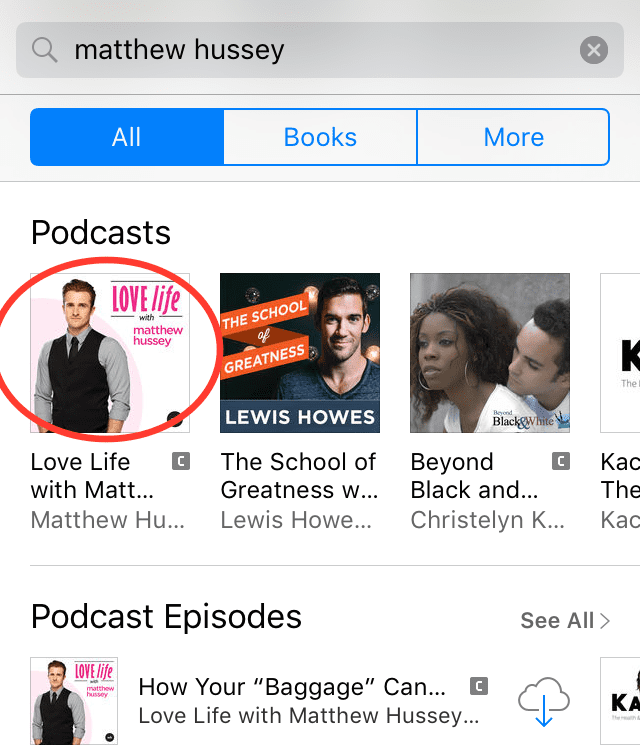 – Open the Podcasts app and search for “Matthew Hussey”. – To get access, click on LOVE Life and then the “Subscribe” button. This will then deliver every new episode straight to your device. – Tap the name of an episode you want to play, and you’ll be able to listen right away. You can stream Podcast episodes you don’t want to be stored on your. Or, to download episodes, tap the download icon next to an episode. When you subscribe, you are going to get one, easily-digestible episode delivered straight to you every-other-day. Unlike a lot of Podcasts that require a major time commitment of an hour or more, LOVE Life will fit easily into your life at just about 5 minutes per episode. If you ever want to send in a question, you can with the hash tag #LOVELife on Twitter. I couldn’t be more excited to bring this to you. Have a great time with the show! PS – If you don’t have access to an Apple device, you can download iTunes on a Windows device and follow the above steps. We’ve already had a lot of people asking about Android. We will be bringing the show to Stitcher very soon. Make sure you’re signed up to my newsletter to be the first to hear.